So I finally did it. The first batch of my Sylvanian toys has been shipped to their new owners and Project Alphonse’s Safe Space is officially started! As many of you already know, I started collecting Sylvanian Families at one of the lowest points in my life. At that time, I had injured my neck and suffered stiffness and mobility issues in my neck, spine, and upper limbs. After one particularly rough day, my husband gave me a set of Sylvanian Families figures to make me feel better. Something in that gift ignited and fuelled an interest and passion for all things Sylvanian, and from that single four-figured family set (and a baby! ), my collection grew exponentially over the years. Pretty soon, my Sylvanian Families toys took over every nook and cranny of our home. Over time, I acquired items not only from local toy stores but also from abroad, all while navigating online websites for great deals. With my husband’s unwavering support and encouragement, I was also able to tick off my bucket list some Sylvanian-inspired dreams. A few years ago, I travelled to London to visit SSK (Sylvanian Storekeepers) and, in the same year, visited Japan to see the Sylvanian theme park in Grinpa. Collecting Sylvanian Families proved to be instrumental in my physical recovery from my injuries. Best of all, it linked me to a worldwide community of collectors who became my friends. Looking back, I truly enjoyed every second of this ride. And then one day, when one of my old high school friends passed away unexpectedly, it suddenly dawned on me how little time is really given to each one of us. I was also reminded of the tedious, exhausting year I spent disposing of my father’s collection of various items when he died- knowing none of us had the time or predilection to care for it- and the burden, sorrow, and dread it filled me every single day. I certainly didn’t want to pass on this same burden to Alex when he will have enough on his plate with the care of his brother. As I pondered on all these, I was faced with another pressing concern. As Alphonse grew bigger and stronger than us, we realized that our daily living accommodations were no longer enough to keep him protected; we needed to create a “safe space” for him for those nights when his energy refuses to dissipate into rest or for those times when his anxiety and anger get the better of him. While Alphonse already has his playroom (which doubles as his bedroom), we felt we needed an even more controlled environment where he could decompress and relax. The room we envisioned would be padded, sensory-friendly, and child-safe, but also relaxing and comfortable. We looked at the Internet for inspiration and we found companies that specialized and custom-built them. I spent more than a few nights poring over pictures and prices, customization and colors, sizes, and designs. Alas, not only were they expensive; they were also available only in Europe and in the US. The cost of transporting one to the country, with the current tax measures in place, would be more than our pockets can bear. The most logical option is to DIY one for him. After taking a good look at our home’s layout, we found the perfect location to be my Sylvanian storeroom. This extra space could easily be an adjunct to his living space, making the transition easier for him. Ultimately, it was Alphonse’s need that proved to be the tipping point in my decision to let go of some of my Sylvanian Families, dolls, and other sundries. When the Sylvanian storeroom is cleared enough, the funds acquired from this sale will jumpstart the renovation to install wall and floor paddings, smart lights, cctv cameras, and audio/video equipment. Over the last few months, I have already re-homed some of my precious toys, but there are still more to be organized, sorted, and sold. I will keep my favourites to give to my future grandkids, but the rest will have to go to give Alphonse his safe space. 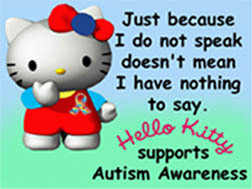 Should you be interested in the purchase of Sylvanian Families or dolls (I also have duplicates of Blythes, Barbies, and accessories) or even just in helping out to make Alphonse’s safe space a reality, please send me a message here or on Facebook. I welcome all help. Someone asked me if this means I am saying goodbye to toy collecting, and, consequently, to the friends I’ve made. Truthfully, I don’t feel like I am giving up on my community of collector friends. The desire to enjoy Sylvanian Families toys remains just as strong as the first time I laid eyes on them. I look at this decision as simply an opportunity to enjoy playing again instead of always obsessing for the next big thing. The long and short of it is this: I want to love more and want less. And in wanting less, I hope we will be able to give Alphonse his own safe place. The day “Aquaman” started its run in local theatres, A❤️ and I found ourselves on a date right after giving Alphonse his dinner and meds. We had tired him all day with all sorts of activities— a lot of jumping, running, and crawling through a tunnel of recycled refrigerator box— and we were confident he would be able to sleep soundly that night. Alex had promised to give us regular updates from home and had pushed us to squeeze in a few hours of “us” time before we clocked out for the day. With barely half an hour to get ready (another plus for short hair, yay! ), we reached the mall with enough time to get a late dinner and catch the last show. It was serendipitous, and a little scary, too, how Facebook knew exactly what I was looking for. (Wait, does my iPhone have ears?) I got a Facebook recommendation for a restaurant at the newly opened North Tower of SM North EDSA and it closed late! Woohoo! We found Sumo Niku on the second floor of the North Tower, near the end of a long corridor of establishments, many of which were still closed, and in front of the mall walkway connecting the North Tower with The Block. We had come on a most fortuitous day, the restaurant’s first, but, even during the soft opening and at that time of the night, it already had a sizeable crowd. Sumo Niku, as you can guess, is a Japanese all-you-can-eat grill or yakiniku. “Sumo” refers to Japanese wrestling, the country’s official sport, but in English, the word could also be used as an adjective to mean “supreme or great” when referring to quality, and “hefty or large amounts” when referring to quantity. “Niku” is meat, and true to its name, Sumo Niku offers unlimited meat selections of chicken, pork, and beef. Sumo Niku also serves a variety of side dishes, Japanese rice, and drinks (iced tea and cold water), all of which are refillable upon request. Price-wise, at a starting point of P399 (lunch; chicken and pork combo), it offers a competitive choice for patrons who enjoy grill/buffets. Before this, Sumo Niku could only be visited at the SM SouthMall, but with traffic getting worse every day, it was a stretch to be able to drop by on the other end of the Metropolis anytime of the week. With this new branch, we don’t have to feel like we’re missing out anymore. A❤️ and I have been on a quest to find good grills in our area, and in the last few months, we’ve often found ourselves drifting to Korean samgyeopsal places that close quite late. After some hits and misses, we’ve learned to be discriminating when it comes to grills and meat selections. Some places offer good cuts but their grills use accelerants in charcoal, leaving the chemical aftertaste of kerosene in your meat. Some serve cheaper cuts of meat with little bits of gristle and bone but the efficient grills make up for this with even and fast cooking. Sumo Niku, fortunately, has got these areas covered with good cuts and a great grill. The kitchen serves six preparations for pork, four for beef, and two for chicken. All of the meat we ate that night looked, smelled, and tasted fresh. The pork was flavorful and robust while the beef had this melt-in-your-mouth quality. The hibachi grill, shallowly submerged as a built-in, had an electronic ignition, was nonstick, distributed heat evenly, and cooked quite quickly. The air vents worked really well in dissipating smokes and odors, as well as fanning the heat coming from the barbecue. As a general rule, we prefer plain meats (unseasoned or with just salt and pepper) to marinated ones, but trying all the preparations at the time, we quickly narrowed our choices to plain, pepper, and teriyaki for pork, and plain and wagyu for beef. For side dishes, we had quite a lot to begin with but we both recommend the dumplings, the crab claw, and the seaweed. They also served us some kimchi, which had just the right spice level with each nip, biting but not enough to make your eyes water. Service was quick and friendly, and our requests for refills were readily granted. Sadly, the restaurant didn’t have lettuce, ice, or sodas that night, though our meal didn’t suffer at all from the lack of these items. Here’s hoping it gets to stock up on these items the next time we visit. All in all, we had a great meal at Sumo Niku, making us more likely to return a second time. P. S. There is a Starbucks Reserve just below it so a nice cup of joe to round up the meal was nice. When I was a teenager, summer vacations didn’t mean fun and relaxation. While they were short breaks from schoolwork, my summers were spent doing another kind of work. 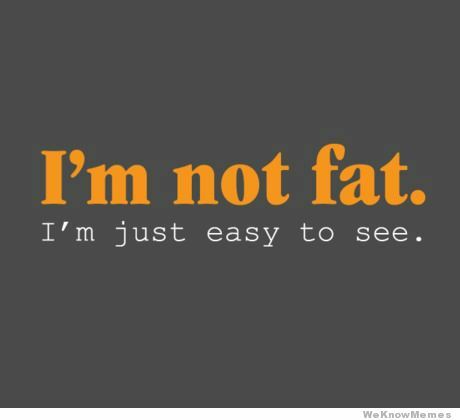 For me, particularly, they were spent losing weight. As the fat kid who later became a fat teenager and an even fatter young woman, this was the kind of a “work” I both hated and dreaded. No doubt many would think me lucky that my parents spared no expense in gym memberships for me. Mom, always the more worried parent, would do her homework by checking out different gyms, fitness clubs, and weight loss programs for me. I appreciated the effort and the expense, but after a while, the whole idea of losing weight became much more of an emotional burden for my fragile self-esteem. I was really thin when I graduated from high school, but the weight slowly crept back in from stress eating. By the fourth year of college, which was also the second year of medical school, I had gained almost all that I had lost, probably more. Mom got so concerned that she decided to upgrade my membership, adding extra programs for the rest of the year. After lectures or duties, and on free weekends, I would haul myself to the gym, never once telling my parents I hated every second of it. Shortly after, I had a bad workout and I hurt my back, turning me off exercise and gyms forever. That pain saved me from having to go back again, but it also hounded me for years, causing me emotional distress and a lot of physical discomfort. 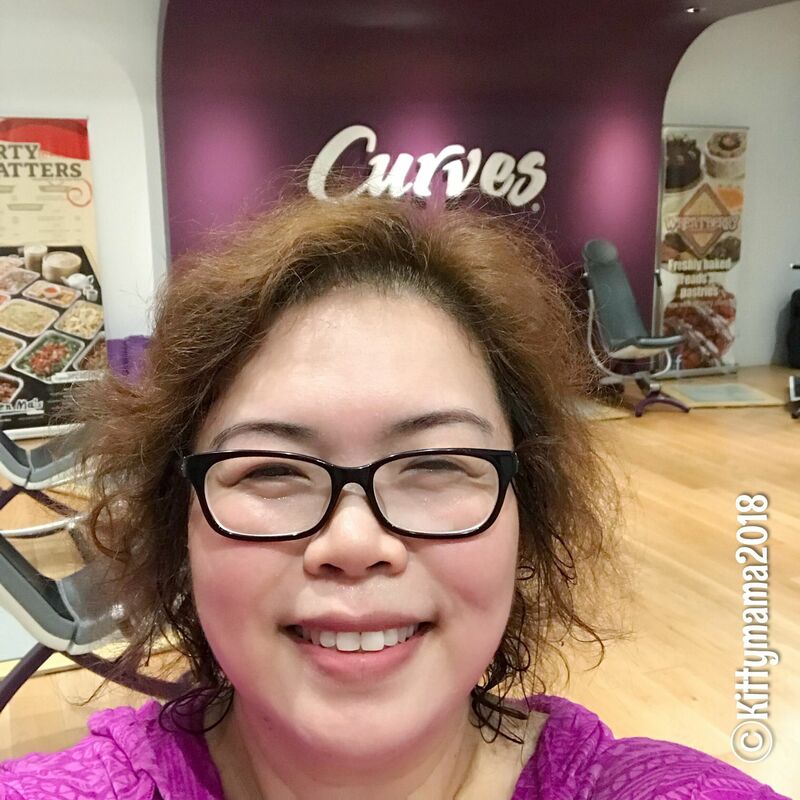 I had given up on the idea of ever going back to the gym when I discovered Curves Philippines a few years ago. 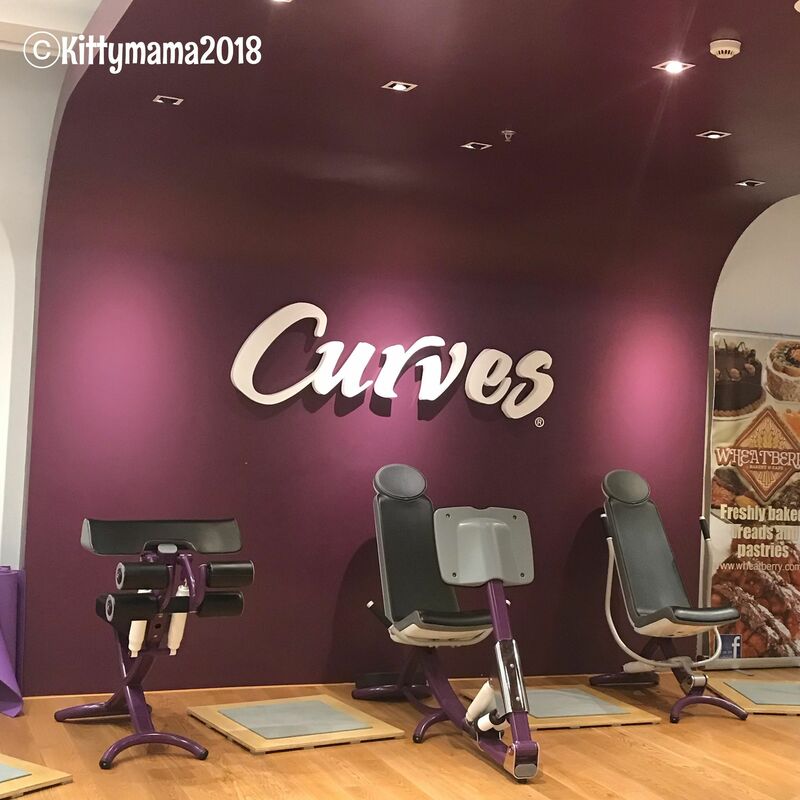 The first local branch of Curves, a franchise from Gary and Diane Heavin’s original Texas fitness club, was located at the Bonifacio Global City, and they have since expanded to more locations in the city. I wanted to give the concept of circuit training a try and their guarantee of short but effective workouts was tempting, but the distance and long travel time (think Metro Manila traffic) ultimately dissuaded me from pushing through with the plan. I figured, the harder it is to go anywhere, the more likely I would not want to go because of the commute. Fortunately, just this year, I got wind of a location nearer me — at the new Robinsons Magnolia Residences, just beside the commercial complex of Robinsons Magnolia in New Manila. 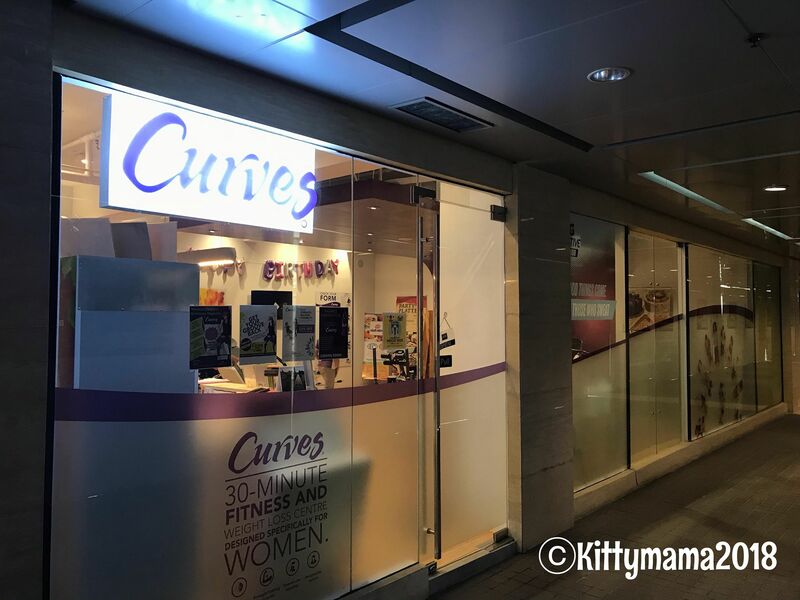 While not exactly within my neighborhood, it was near enough for me (around 15 minutes without traffic, and 30-45 minutes with) to want to explore the fitness services offered by Curves Philippines. I went in for a consultation bright and early one morning and after a short interview and explanation of how the circuit works, eagerly jumped to the workout. The concept of the Curves circuit revolves around the combination of strength training and cardiovascular workouts to elicit maximum exercise efficiency. The use of specially designed hydraulic resistance machines that target different muscle groups provides consistency and regularity to the drills. Alternating each turn at a machine with cardiovascular exercises (aerobics or dance) builds resistance and endurance, thereby creating the “burn” that one hopes for. And because the circuit involves only two complete rounds each time, 30 minutes is all one needs at a minimum to start a fitness routine. Having been to many gyms in my lifetime, I love that Curves has many advantages over others I’ve joined in years past. One, I love the comfort and security of being in an all-women gym. The tagline “no make-up, no mirrors, and no men” is absolutely spot-on as Curves abides by this faithfully. Not having to share facilities with men allows women the confidence to push our bodies to our limits, without unnecessary worries. Two, I appreciate the one-on-one supervision, which, unlike some gym clubs where you work out independently, is part and parcel of one’s membership. Curves has trained coaches on hand to supervise you in machine use and create workouts tailored to your level of ability. I started experiencing knee pain right after a trip abroad last year, and at the time of my Curves visits, I wasn’t too steady on my knees. The coaches who supervised me at each of my visits made sure I was challenged and pushed to my best but were always mindful of my physical limitations. Three, I love that toning and conditioning were necessary components of their fitness regimen. Inside the Curves gym is a large, immovable cube frame meant for stretching before and after the circuit. I would do this as part of my warm-up and recovery regimen, and time with this was always my favorite part of the routine. Four, I love that Curves keeps upping their game by providing a wide variety of additional activities. For those looking to extend their workouts’ duration and intensity, Curves offers yoga, kickboxing, zumba, and dance aerobics sessions as adjuncts to the circuit. They also have special Arms and Core sessions throughout the week to help you gain tone and strength in these areas. From their Facebook page, I recently learned that they also have Tai Chi, and this has me second-guessing my absence from the circuit, despite injuries. Sadly, in April of this year, I had to hold off exercise while I was under medical observation and treatment for my heart. When I hurt my remaining good knee in August and partially tore a ligament, I had to scuttle any thoughts of returning to the circuit, at least not before my knees are healed enough to walk without constant pain. 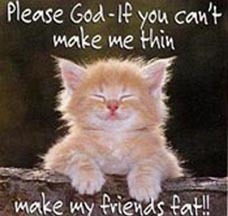 I miss Curves, really. After each workout, I would come out walking taller and straighter, my back, neck, and knees less painful. I also didn’t limp and hobble as much after each session. And while I didn’t focus on weight loss as an incentive to work out, I did lose a kilo or two despite having one of the lightest regimens in the gym, this, based on the activities of the superwomen I worked out with. Working out at Curves, I realized, just always made me feel stronger than the way I felt the day before. It’s a feeling I miss every day these days. I am grateful to the wonderful people who looked after me during my visits — Coaches Jhing, Jessie, and Irene — and I miss them all. I look forward to going back one day soon, “Pinky” promise. So please, drop by and see for yourself what an amazing place Curves Magnolia is, and while you’re there, please say “hi” to them for me!